Last week Kimberly posted something on her blog "Garage Sale Heaven" something that I thought was quite good. It was called "13 Things Mentally Strong People Don't Do". I could only agree wholeheartedly. Since that time I have been thinking about what strong people--and women in particular--DO do. I would like to explore what Strong Women ARE, not are not. And I don't believe that would best be called what the "Mentally" strong do, but rather what the "Mentally/Emotionally/Spiritually" strong women do. Because strength requires all of those triune parts of our soul, I believe, to be united. If we are weak in one of them we are more likely to suffer unhappiness. #1. Strong Women are, first of all, okay with sometimes failing at being strong. They are okay with not being perfect. They forgive themselves for their weaknesses. They see "failure" as a learning opportunity, not as a permanent condition. They realize that no one can grow without setbacks in the process, just as a child must accept falling down in the process of learning to walk. Strong women are gentle with themselves, yet honest in their personal evaluation of where they went wrong. They refuse to accept condemnation for their failures--they simply do their best to get it right next time. Sometimes when I fail at meeting my own standards I struggle against the desire to beat myself up. I have to resist self-loathing. I have to remember that thinking that I can be flawless all the time is really a prideful thing. And yet, accepting myself when I fall flat on my face is a hard thing to do. It's so darned embarrassing to fail! It hurts my feelings to flop! 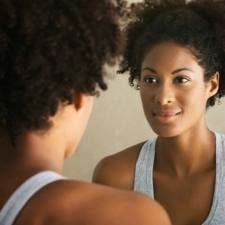 I don't like to look at myself when I don't measure up to what I think are pretty easily-attainable goals. When I do that I have forgotten something. I have forgotten that I can be very tired, or very distracted, or very stressed-out at times. I forget that it's okay to NOT be the brightest bulb in the pack. Or the most talented. Or the most socially-adept. I forget that I am still Human, and everything that goes along with that. I forget that I have a forgiving Savior, and that I need to forgive myself. Soon I get myself re-centered. I stand up and dust myself off and begin again. I try to be as kind and understanding to myself as I am to anyone else. I try not to fail at the same thing often--there are too many mistakes out there to be made to make any of them more than once. I do believe that Strong Women need to give themselves a break now and then. Chillax. Tomorrow will be a better day. Do you agree? What do you think of when you think of Strong Women, and what they do? Do you consider yourself to be a Strong Woman, at least most of the time? How do you deal with failing your own expectations? Gently, I hope! Personally, right now I'm dealing more with failure brought on by new limitations. Its not easy to accept, I'm in this new zone of not meeting my standards and the hard part for me has been adjusting to this, and accepting help from others. Oh, yes...and then there's that figuring out the difference between what we can, and cannot, change, and then accepting what we can't. All very murky at times. And trying to remember to take deep breaths in the meantime. Love this post, Linda, and thank you for the link. I think we learn and grow so much more from our failures than from our successes. Failure is a necessary and healthy part of life. Sure, it hurts some times, but those are our growing pains. When I fail, sometimes it's hard not to feel horrible about it. I have to keep reminding myself that the Bible says to be "forgetting what is behind," so we can be, "straining on towards what is ahead." I really love that. God has forgiven me, so why should I keep holding onto the guilt? Oh, I love that--the perfect verse. What a good reminder to not look back, but have confidence in the future.